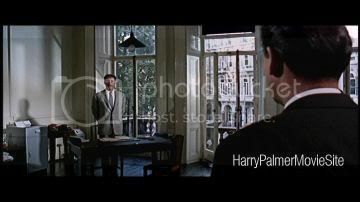 The most important filmlocation of the Ipcress File was 28 and 30 Grosvenor Gardens, London (see topright photo). Here Dalby's Office (his "employment bureau") was situated here. The two houses were converted into one huge house containing 40 rooms. These were enlarged or divided according to requirements. Fourteen room were used as studios. 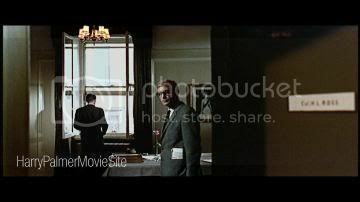 Other rooms were turned into dressing rooms, wardrobe department, hairdressing, make-up, production offices, a property department and a self-contained restaurant capable of feeding and seating 120 people! This all was kept secret to keep away sight-seers and autograph hunters. 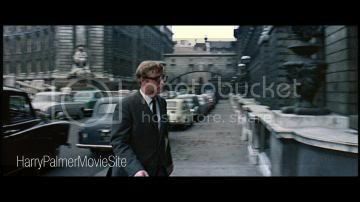 Even Michael Caine was driven to work in an inconspicuous car and had to sneak in the back way. As a 'front' for the real purpose, a large sign was painted at the entrance to the film studios. The sign read:" The Dalby Employment agency". 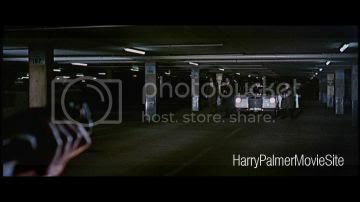 The famous exchange where scientist Redcliff is given back for hard cash was filmed in a carpark under Hyde Park in London. 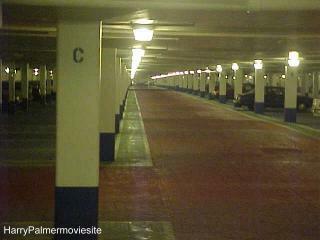 The carpark still exists and is called the Marble Arch carpark. Nothing much has changed really except for better lighting and some bright colours. 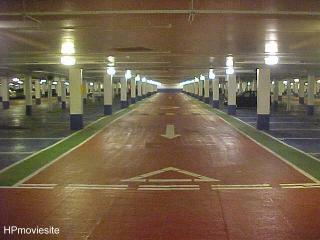 There are several entrances but the main (car)entrance is at Park Lane. 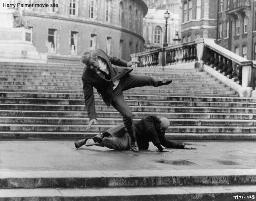 The fight between "Housemartin" and Harry Palmer takes place on the stairs of the Royal Albert Hall. A lot of scenes were filmed around the Hall. 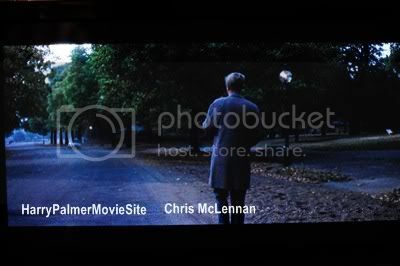 The fight between Palmer and Housemartin was filmed from the Prince Consort Road. 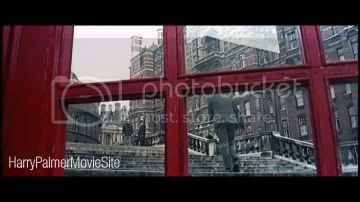 The telephonebooth was placed there especially for the movie although there is one now on the other side of the street. 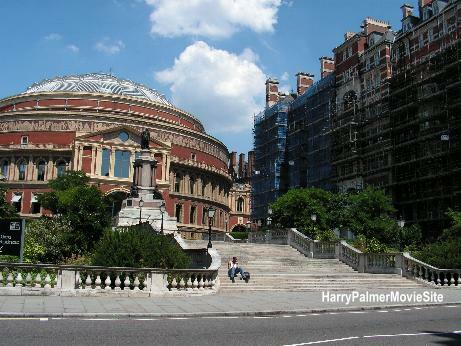 Bluejay's car was parked on the road around the Albert Hall but that road no longer exists. 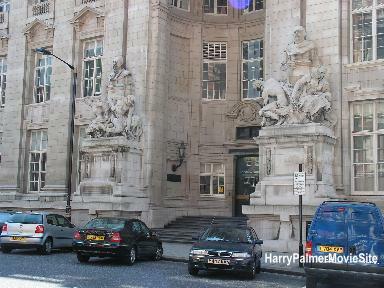 When Palmer follows Housemartin for the first time to the Science Museum library, they both enter this building, the Royal School of Mines, a department of the Imperial College of Science. 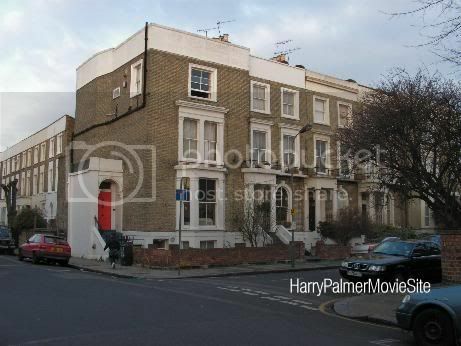 You can find it on the Prince Consort Road SW7, on the other site of the Albert Court. When Prof. Radcliffe has returned to his normal life, Palmer serves as a bodyguard. They both leave this building to get into their car on their way to the lectureof the Professor. 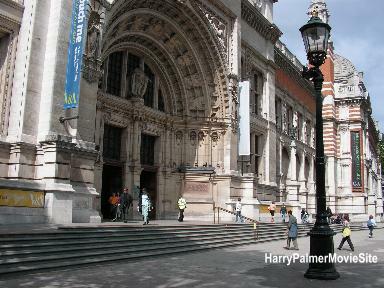 It is the Victoria and Albert Museum on Cromwell Road in South Kensington. Ross office looks out over Trafalgar Square. 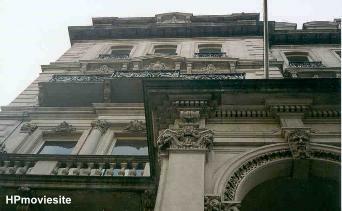 The building in which the 'Ross' office is located is found on the south side of Trafalgar Square, London. In the back you can see the Big Ben. Comparing the scenes in the film it must have been the third floor office. The same office was used in Funeral in Berlin and Billion Dollar Brain. 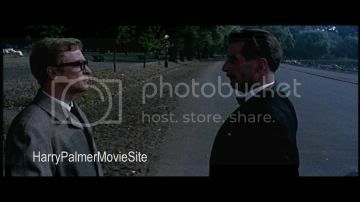 Dalby and Ross meet in a park to discuss matters and whether to pick up Grantby or not. 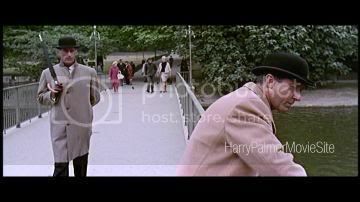 This was filmed in St.James's Park They enter the park from The Mall and walk towards a bridge. 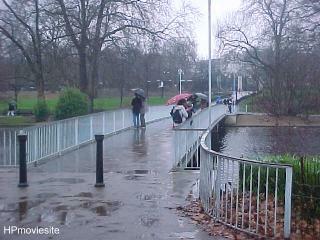 You'll recognize the bridge over the St.James's Park Lake. 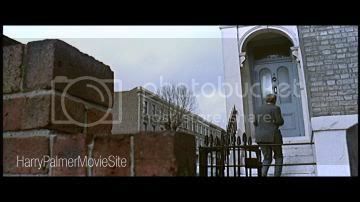 After that scene they walk towards the Birdcage Walk. After "Old Muggins" has come to take over surveillance duties from Harry, our secret agent has to come to headquarters. He enters the building in a little sidestreet of The Mall, just behind Trafalgar Square. 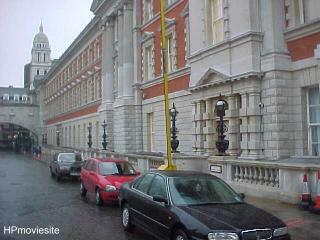 It is the Old Admiralty Building. 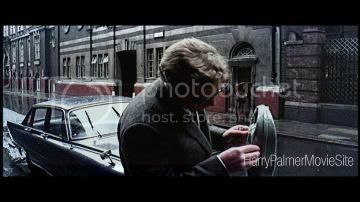 When Harry gets his first assignment from Dalby, he drives to his friend Pat who works at Scotland Yard (here he checks Grantby's parking tickets). 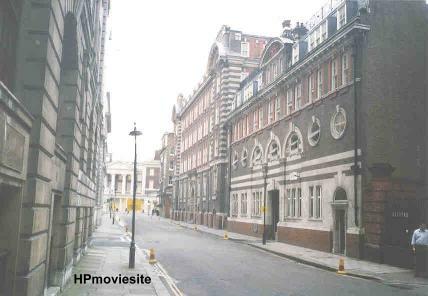 You can find this building in a street which is called Great Scotland Yard, it is near Trafalgar Square. 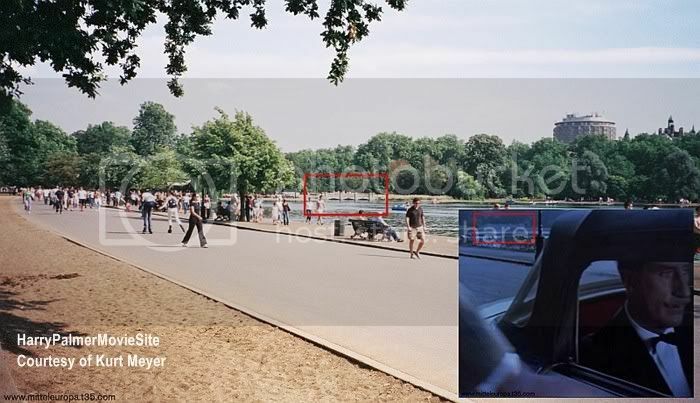 Harry parks his car opposite the building you see in the top picture. 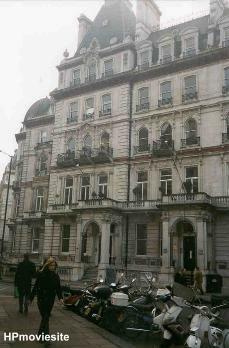 I was told this building is still used by Scotland Yard. 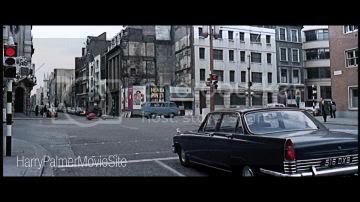 "Been irritated for years that I couldn't identify the location used for the scene where Carswell is shot in the blue Ford Zephyr. Penny finally dropped. 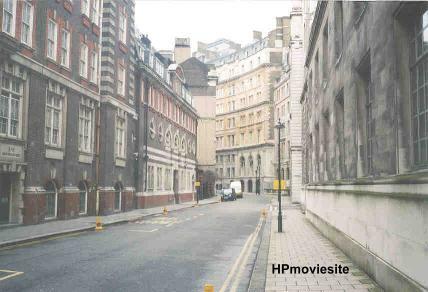 It is Upper Thames Street E.C.4 @ the junction with Queen Street Place, left of the lights, & Queen Street to the right of the traffic lights. The car is travelling west towards what is now Blackfriars underpass. The give away features are the church he drives past, laying back from the road (I believe it is a Christopher Wren church), & the building to the immediate right of the church as you view the scene. The bridge he passes under is called Cannon Bridge & there is an office block built on top these days. 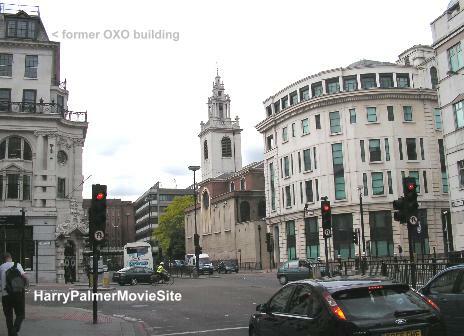 This leads to Cannon Street railway station.All the other buildings near the church are gone. 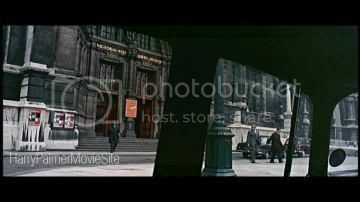 The building to the left of the lights (Queen Street Place) was used by the OXO company in 1965 - the second 'O' is obscured by the traffic light post, no product placement allowed in 1965 eh? The building is still there however. To the right of the lights (Queen Street) the buildings have been swept away & rebuilt. It is now closed to traffic & a barrier prevents access. 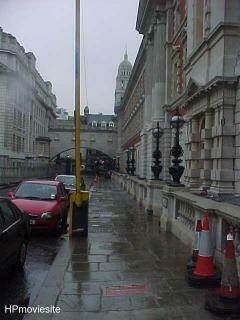 Ahead is the continuation of Upper Thames Street. It has since been widened so that the road as it was then is now the westbound half of a dual carriage way. The buildings on the right behind the "Drinka Pinta Milka Day" poster have been demolished & the eastbound half of the dual carriage way created in their place. If you stand with your back to the shore of the lake and looking up the slope of the hill as the ground rises away from you, you will see a large stand of trees and undergrowth, which should be position to your left. Coming down the slope toward you is a pathway. The pathway moves across your front to your right as it moves toward the lake. 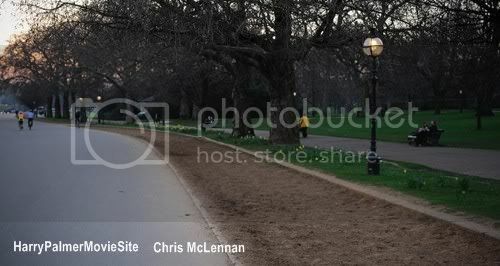 When it nears the road upon which you are standing, people walk off the pathway across the grass to the road, leaving a pathway worn into the grass. 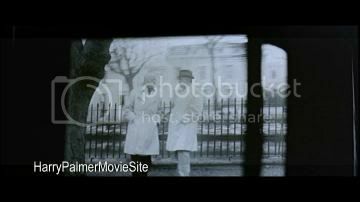 This is just visible behind the actors in one of the frames. The park bench T108 was just to the right of this pathway and is now to the left. (west). 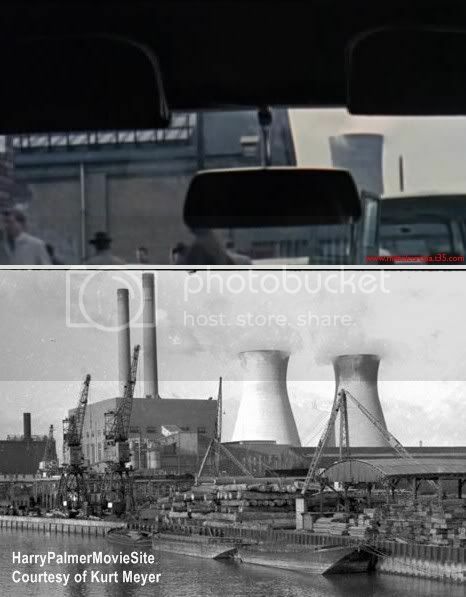 This location is at West Ham B power station, which was built on the site of the old East India Dock after World War II. 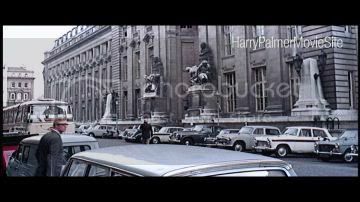 It was in operation until a few years before The Ipcress File was filmed and remained standing until the late Eighties. The power station and its associated buildings were demolished along with nearly all of the old buildings in the area. Some of the original site layouts remain around the switching house, which still operates as a power distribution center. The entire area was remodelled, the railway line removed and most of the road layout changed. 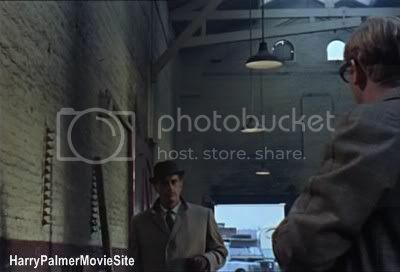 Kurt Meyer from Germany found the location where the black and white film was filmed, the 'instruction film' that is shown to all secret agents at the meeting with Dalby. 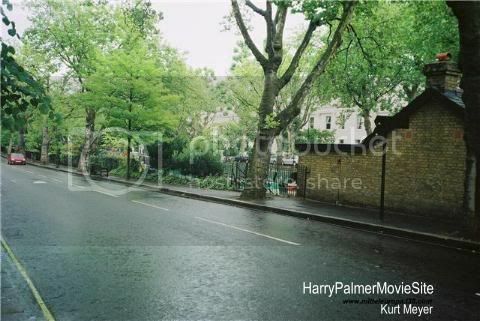 Located in Little Venice, Blomfield Road, London. Thanks Kurt Meyer ( mitteleuropa.t35.com).